Country music legend Loretta Lynn's "Ain't No Time To Go" music video is definitely worth watching and will hit you right in the emotions! 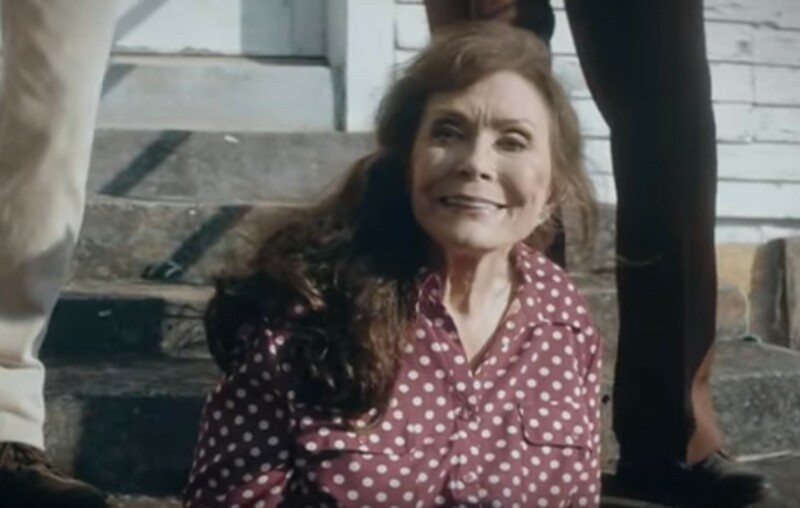 Country music maven Loretta Lynn‘s new “Ain’t No Time To Go” music video gives fans a moving look at the star after she has battled the impact of a stroke and a broken hip. The tune focuses on mortality and is one of the new original songs on her Wouldn’t It Be Great album, which is set for release on Friday, September 28th. “I loved writing this song, “Ain’t No Time to Go” with my daughter Patsy about not wanting to let go of those you love. It took on new meaning after my stroke. I wasn’t ready to go and still got a lot of living to do!” Loretta shared via Facebook about the song. Watch the official “Ain’t No Time To Go” music video below! Wouldn’t It Be Great communicates in song the hard truths and spiritual insights Loretta has gathered throughout her life and reflects the resilience that sustains her still. Comprised entirely of songs written (or co-written) by the icon, the album premieres new compositions alongside soulful reinterpretations of enduring classics from her catalog. As previously reported, the singer-songwriter is set to be honored with the ‘Artist of a Lifetime’ award during the upcoming 2018 CMT Artists of the Year event. The award will be presented to the 86-year-old artist by actress Sissy Spacek, portrayed Lynn in the 1980 film Coal Miner’s Daughter. Share Loretta’s latest with other country music fans!